Fresh, creamy servings of Sportscar racing news. Lola Unveils B11/80 LMP2 Coupe. Last week SportscarGeek covered the unveiling of Lola’s latest open cockpit LMP2 offering, the B11/40. Lola has today unveiled its Coupe counterpart, the B11/80. Like the B11/40, the closed-cockpit design features a strong resemblance to its predecessors, sporting many recent revisions seen on the current crop of Lola LMPs and its recently revealed open-cockpit counterpart. Some of the notable changes to the chassis include an all-carbon bodykit, rear/side bodywork and air intake modifications, the addition of Lola’s quick-release bodywork and High-Torque transmission systems, an increased length wheel base, and the recently mandated ‘Shark-fin’ attachment, designed to increase aerodynamic stability. Like the B11/40, the chassis will also provide compatibility with GT/Production engines from a wide array of manufacturers (i.e. BMW, Ford, HPD, Jaguar, Nissan, Toyota, Judd etc). ALMS: Robertson Racing Confirm Second Petit Le Mans Entry. After months of speculation over the future of Robertson Racing’s FordGT programme, the team today confirmed the plans for expansion many fans had been hoping for. Despite lacking factory-support, and facing one of the toughest financial climates in motorsport history, Robertson Racing has unveiled plans to field an additional FordGT entry before season’s end. With chassis construction now underway, the team has elected for a wide cross-selection of talent to spearhead their all-professional assault on the series. Having driven alongside Andrea/David Robertson throughout the 2009 season, the seasoned hands of Robertson Racing regular and ALMS veteran David Murry will move to the new chassis. Murry will be joined by two-time Le Mans Series GT2 champion Rob Bell, and former IndyCar/NASCAR driver Anthony Lazzaro. 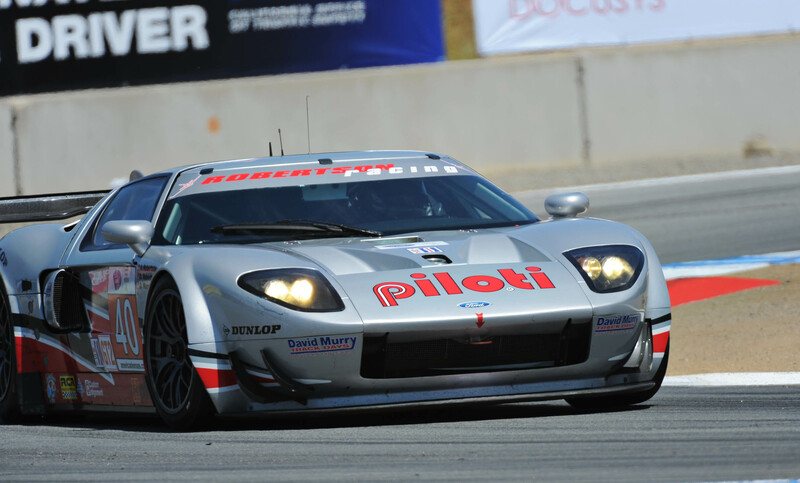 The team’s second FordGT entry will make its series debut at the 13th running of the Petit Le Mans event in early October. The race will also serve as the sole North American event during the inaugural running of the Intercontinental Le Mans Cup. Spa 24H Entry List (Provisional) Released. 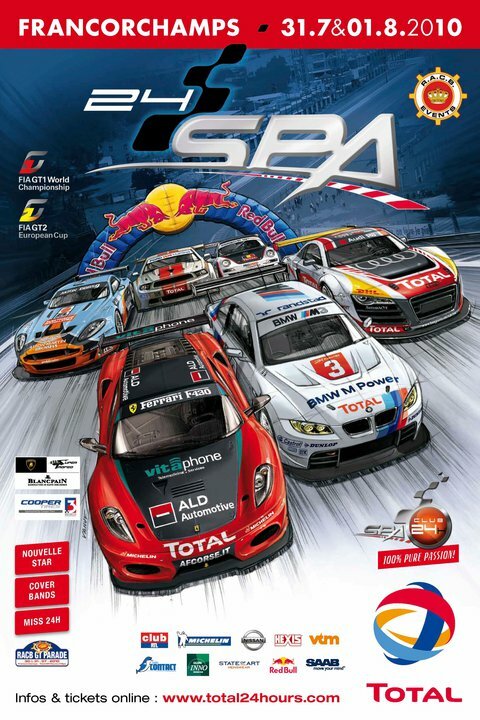 Provisional entry listings for the 2010 Total 24 Hours of Spa are now available. The provisional entry list can be seen below. Final result listings for round five of the 2010 American Le Mans Series can be seen below. ALMS: Porsche GT3R Hybrid to Race at Petit Le Mans. After months of speculation, Porsche’s latest benchmark in race technology, the GT3R-Hybrid, saw it’s participation in the running of the 2010 Petit Le Mans confirmed. 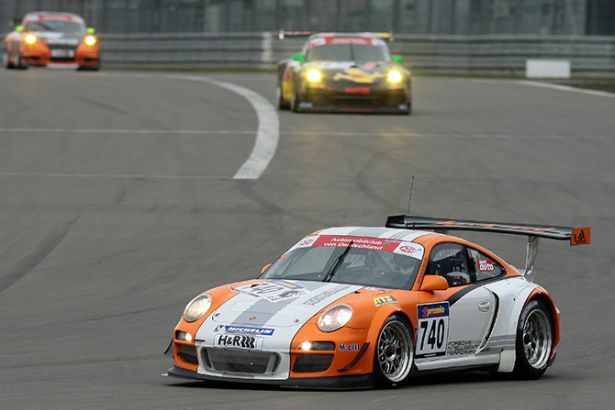 Having already managed several impressive finishes in the German VLN series, and lead the 2010 Nürburgring 24 Hour event for over eight hours (before later retiring as a result of an engine failure), a visit to the self-proclaimed home of ‘Green Racing’ would seem a logical step in the development cycle of such a vehicle. Despite the confirmation of eligibility, the GT3R-Hybrid will run in VLN-specification, and unclassified due to ACO regulations disallowing the participation of GT3-spec chassis. The GT3R-Hybrid will make it’s Stateside debut at the 13th running of the ten hour Petit Le Mans event in early October. 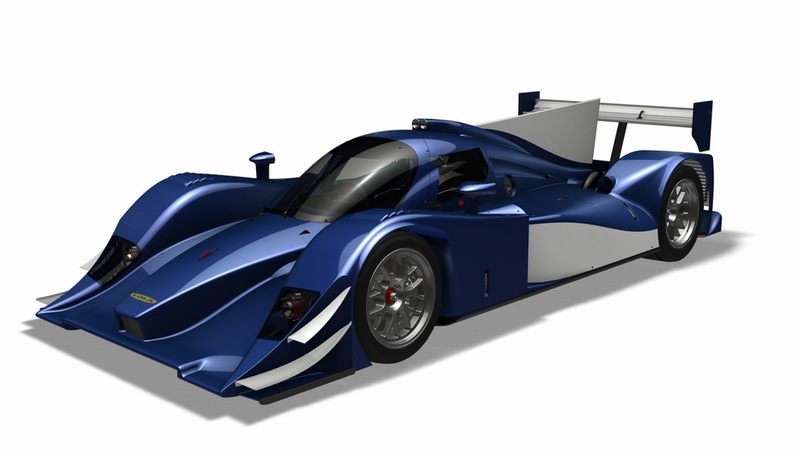 Lola Unveils 2011 B11/40 LMP2. 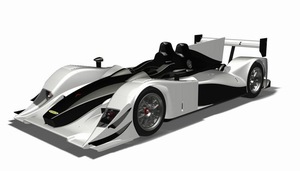 Lola Cars today unveiled the latest addition to its range of LMP chassis, the LMP2 specification B11/40. The chassis bears a strong resemblances to its predecessors (namely the B07/40, B10/80), featuring recent aero updates seen on the current-spec Lola machinery (i.e. rear/side bodywork, air intake etc). Designed to 2011 ACO regulations, the open-cockpit chassis aims to provide privateer teams a financially viable means of participation under the newer, cost-capped ruleset. Under new class rules the chassis price must not exceed €325,000 (without engine), or €400,000 with engine package. As one of the first customer cars designed under the new ruleset, the chassis will provide a number of revisions. Notably an all-carbon bodykit, quick-release rear bodywork, Lola’s High-Torque transmission system, and the recently mandated ‘Shark-fin’ attachment (pictured). Additionally, the chassis will also be compatible with GT/Production engines from a wide array of manufacturers (i.e. BMW, Ford, HPD, Jaguar, Nissan, Toyota, Judd). ALMS: Lime Rock Park Entry List Released. Provisional entry listings for Round five of the ALMS are now available. Despite the omission of several entries present at last weekends’ GP of Utah at Miller, the field remains at 31 entries. A notable mention goes to the inclusion of the #61 Risi entry, making it’s second 2010 ALMS appearance. The #61 receives a change in driver lineup, with the familiar faces of Mika Salo and Pierre Kaffer returning Stateside to represent the prancing horse. Enter your email address to subscribe to SportscarGeek and receive notifications of new posts via email.